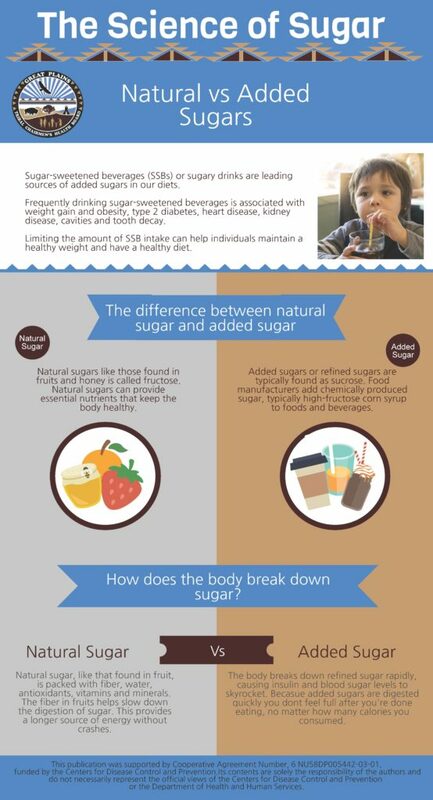 Sugar- sweetened beverages (SSB) or sugary drinks are leading sources of added sugars in our diets. Frequently drinking sugar-sweetened beverages is associated with weight gain and obesity, type 2 diabetes, heart disease, kidney disease, cavities and tooth decay. Limiting the amount of SSB intake can help individuals maintain a healthy weight and have a healthy diet.